Upon completion and return of the registration form, full payment is required no later than 5 business days from the date of invoice. We reserve the right to refuse admission to the conference if payment has not been received. The registration fees are not refundable under any circumstances. You may substitute a delegate at any time. For cancellations received prior to the event in writing, a credit note for the full amount will be issued. In the case of Global Executive Events B.V. cancelling an event, a credit note will be issued. Credit notes may be used at any Global Executive Events B.V. event within one year, by any representative from your company. No client cancellations will be accepted until full payment has been made by the Client. Payments are not refundable when the Client cancels. You may substitute delegates at any time by providing reasonable advance notice to Global Executive Events B.V.. For any cancellations received in writing prior to the conference, you will receive a credit note to be used at another Global Executive Events B.V. conference which must occur within one year from the date of issuance of such credit. In the event that Global Executive Events B.V. cancels an event for any reason, you will receive a credit for 100% of the contract fee paid. You may use this credit for another Global Executive Events B.V. event to be mutually agreed with Global Executive Events B.V., which must occur within one year from the date of cancellation. In the event that Global Executive Events B.V. postpones an event for any reason and the delegate is unable or unwilling to attend in on the rescheduled date, you will receive a credit for 100% of the contract fee paid. You may use this credit for another Global Executive Events B.V. event to be mutually agreed with Global Executive Events B.V., which must occur within one year from the date of postponement. Global Executive Events B.V. is not responsible for any loss or damage as a result of a substitution, alteration or cancellation/postponement of an event. Global Executive Events B.V. shall assume no liability whatsoever in the event this conference is cancelled, rescheduled or postponed due to a fortuitous event, Act of God, unforeseen occurrence or any other event that renders performance of this conference impracticable, illegal or impossible. For purposes of this clause, a fortuitous event shall include, but not be limited to: war, fire, labour strike, extreme weather or other emergency. Every reasonable effort shall be made to adhere to the advertised package, but any package may be altered, or parts omitted or dates changed for any cause which Global Executive Events B.V. in its absolute discretion, shall consider to be just and reasonable. Global Executive Events B.V. will use its best efforts to organise the event at the proposed venue on the proposed dates. Do not rely on any oral representations with respect to the venue or dates. 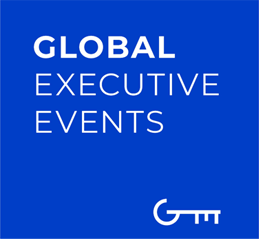 Global Executive Events B.V. is entitled, without penalty, to change the venue or date of the event. Please note that while speakers and topics were confirmed at the time of publishing, circumstances beyond the control of the organizers may necessitate substitutions, alterations or cancellations of the speakers and/or topics. As such, Global Executive Events B.V. reserves the right to alter or modify the advertised speakers and/or topics if necessary without any liability to you whatsoever. Any substitutions or alterations will be updated on our web page as soon as possible. In making arrangements with third parties for carriage by air, hotel accommodation, transportation, restaurants or otherwise, Global Executive Events B.V. acts only as the agent of the Client and does so on the express condition that no liability of any kind howsoever caused shall attach to Global Executive Events B.V. in connection with or arising out of such arrangements. Global Executive Events B.V. can take no responsibility for injury to any guests of the Client attending the event. The information contained in this website is not comprehensive. Despite our efforts, it may not be accurate, up to date or applicable to the circumstances of any particular case. We cannot accept any liability for any inaccuracies or omissions in this website and any decisions you make based on information contained in this website are your sole responsibility. Global Executive Events B.V. does not accept liability for any direct, indirect, special, consequential or other losses or damages of whatsoever kind arising out of access to, or the use of this website or any information contained in it. Global Executive Events B.V. Guest Speaker sessions are central to the success of Global Executive Events B.V.. In order to provide our attendees with a global platform for the exchange of ideas and insights, we invite key figures from various industries to share their personal perspectives concerning the challenges and opportunities facing businesses today. Guest speakers are not employees of Global Executive Events B.V. and Global Executive Events B.V. neither pre-reviews nor comments on the content of our guest speaker’s sessions. Guest Speaker views and opinions are entirely their own and in no way reflect the views and opinions of Global Executive Events B.V.
All the contents, product names and details website and downloads from it are owned directly by Global Executive Events B.V.. or indirectly through its subsidiaries unless otherwise stated. All rights reserved. Your use of this website and downloads from it, and the operation of these terms and conditions, shall be governed in accordance with the laws of The Netherlands. The Dutch court shall have exclusive jurisdiction over any dispute arising out of your use of this website. Privacy Statement Global Executive Events B.V. This policy, (together with our terms and conditions), forms the basis on which all personal data we collect from you or that you provide to us is processed by Global Executive Events B.V. Read the following carefully to learn how Global Executive Events B.V. handles personal data. I hereby give my consent for Global Executive Events B.V., to collect, process and use my personal data for the purposes of processing the purchase of my ticket and for any other use for which I have consented. PURCHASING TICKETS I hereby give my consent for the mandatory and voluntary data collected from me with the purpose of purchasing and / or registering for tickets sold by Global Executive Events B.V., as specified and required on the registration website pages of the events organized by Global Executive Events B.V. I further give my permission for my user account details to be stored. I acknowledge that I may provide Global Executive Events B.V.a reasonable timeframe to remove my details at any time that I no longer wish to be stored. I acknowledge and accept that my data will be used for commercial purposes in accordance with this General Data Protection Regulation and Declaration of Consent and will be retained and stored for the purpose of events tickets selling. I hereby give my consent for Global Executive Events B.V. to use for the purposes of processing complimentary or otherwise ticket registration the mandatory data and any voluntary data I provide when registering a complimentary admission ticket, the ticketing platform of the events organized by Global Executive Events B.V. I further give my consent for the voluntary data provided. I acknowledge and accept that my data will be used for commercial purposes in accordance with this General Data Protection Regulation and Declaration of Consent and will be retained and stored for this purpose. I hereby give my consent for Global Executive Events B.V. to store any voluntary information I may provide in the course of participating in an online survey. I acknowledge and accept that my data will be used for commercial purposes in accordance with this General Data Protection Regulation and Declaration of Consent and will be retained and stored for this purpose. Global Executive Events B.V. will not sell, nor give your name, address, e-mail address, credit card information or personal information to any third party without your permission. By registering at the events organized by Global Executive Events B.V. you consent that your profile will be visible in Global Executive Event B.V. APP (Android / iOS) the associated software networking platform that facilitates communication, messages and business meetings setup before, throughout and after the event. You will be able to contact and to be contacted via email or phone by the providers and visitors present at the event that you registered for and also other partner events that will be held under the events’ umbrella. Follow-up on these invitations will be at your own discretion. Mandatory and voluntary data collected when purchasing as shown on the registration website pages of the events organized by Global Executive Events B.V. I give consent for Global Executive Event B.V. to analyze and use the data for the purpose of targeted advertising communications to me on relevant topics and products in connection with Global Executive Events B.V. events and promotions. I consent to Global Executive Event B.V. to contact me by phone in relation to events for which I am purchasing a ticket or registering an expression of interest. I consent to Global Executive Event B.V. to contact me by email in relation to the event Global Executive Event B.V. organize or for which I am purchasing a ticket or registering an expression of interest. I furthermore consent to the mathematical and statistical analysis of my personal data for advertising purposes (scoring). I also give my consent for my data to be updated and supplemented with additional data. Accordingly, I give my consent for Global Executive Event B.V. to collect data relating to me personally from public domain sources and to store these along with my personal data that are already under the control of Global Executive Event B.V. I give my consent for Global Executive Event B.V. to analyze this newly collected data together with the data already under their control and to use the same for the purpose of targeted advertising communications to me on relevant topics and products in connection with trade fairs, conferences, summits, workshops, exhibitions and/or exhibiting companies of Global Executive Event B.V. events that might be of interest for me. I acknowledge that I may be photographed or filmed by Global Executive Event B.V. official photographer and/or cameraman and I consent to my image being used in promotional or event related materials by Global Executive Event B.V. I also give my consent that the information I provided in the registration form found on the registration website pages of the events organized by Global Executive Event B.V, will be sent to the partners/exhibitors which will scan my badge with my permission, after my interaction with them at their booths/sessions, at the event I registered for. I agree that these partners/exhibitors that will scan my badge to contact me after the event. I also give my consent that the information I provided in Newsletter Subscriber (from all our websites owned by Global Executive Events B.V.) to receive advertising communications to me on relevant topics and products in connection with trade fairs, conferences, summits, workshops, exhibitions and/or exhibiting companies of Global Executive Event B.V. events that might be of interest for me. - Tax identification or VAT number (if applicable). If you contact us we may keep a record of that correspondence. Information we receive from credit reference and fraud detection agencies or other third parties we may use to verify your information. We may ask you to complete surveys for research purposes, although you do not have to respond to them. We may also keep personal preferences related to events and information that you share with us with your consent via third parties such as Facebook correspondence, testimonials, photos, blogs, writings, customer satisfaction surveys or customer service communications that you may send us. If Global Executive Event B.V. holds incorrect information about you which was originally submitted by you through this website, you have the right to have the data amended. Please note that Global Executive Event B.V. is not required to rectify or erase your data where doing so would prevent you from meeting your contractual obligations to Global Executive Event B.V. or where Global Executive Event B.V. is required to process (including retaining) your personal data for a lawful purpose in accordance with the Data Protection Acts. This section sets out our data retention policies and procedure, which are designed to help ensure that we comply with our legal obligations of General Data Protection Regulation in relation to the retention of personal data. (a) (personal data category or categories) will be retained for a minimum period of [12 month] following (01-04-2018), and for a maximum period of (36 month) following (01-04-2018). The security of your Personal Information is important to us. However, no method of transmission over the Internet, or method of electronic storage, is 100% secure. Therefore, while we strive to use commercially acceptable means to protect your Personal Information, Global Executive Event B.V. cannot guarantee its absolute security in the case of a hazard. When you enter sensitive information (such as credit card number) on our registration or order forms, we encrypt that information. Global Executive Event B.V. reserves the right to modify this General Data Protection Regulation and Declaration of Consent at any time. Any changes will be posted on our home page and other places we deem appropriate so that you are aware of the changes. Financial transactions relating for event entrance ticketing are handled by our payment services providers, (Payvision BV, Chamber of Commerce number: 37078111, Netherlands). We will share transaction data with our payment services providers only to the extent necessary for the purposes of (processing your payments, refunding such payments and dealing with complaints and queries relating to such payments and refunds). You can find information about the payment services providers' privacy policies and practices at (https://www.payvision.com/). complex and not all of the details have been included in our summaries. Accordingly, you should read the relevant laws and guidance from the regulatory authorities for a full explanation of these rights. We are registered in (Amsterdam, Netherland)] under registration number (58005161), and our registered office is at (Nieuwe, Kerkstraat 13/3, 1018 DW , Amsterdam, Netherlands). Our principal place of business is at (Nieuwe Kerkstraat 13/3, 1018 DW, Amsterdam, Netherlands).